This chapter presents an outline of the history, politics, and lived experience of autism in Italy and Brazil, illuminating key similarities and differences. 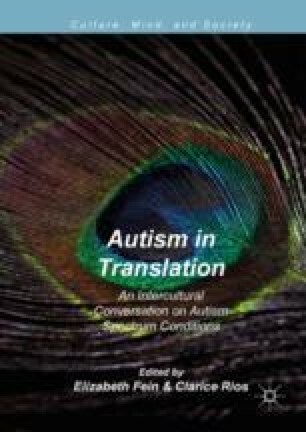 It focuses on the contemporary dilemmas around autism in these countries, particularly the historical developments of Psychiatric Reform (PR) in both countries, and how the post-reform epistemic and institutional matrices address autism. Both countries share a history of radical liberatory anti-asylum movements, deinstitutionalization, and transition to a community-based mental healthcare system that addresses a range of needs often without diagnosis-specific services; both countries have seen conflict between parent groups (and in Italy, self-advocacy groups as well) and this system, as parent groups often call for more diagnosis-specific services. However, there are substantial differences in the landscape of autism politics between Brazil and Italy. Local and historical particularities as well as everyday practice make ideals meaningful, rendering the same perspectives on treatment, intervention, and social organization harmful in one situation, yet helpful in another. Taking a historically informed view of current autism politics moves beyond dichotomies and extremities in these perspectives, opening up the space for the recognition of common ground and, perhaps, integration. M. A. Cascio—The work described in this chapter was carried out at the Department of Anthropology, Case Western Reserve University. B. Costa Andrada—The work described in this chapter was carried out at the Institute for Social Medicine, State University of Rio de Janeiro. Associazione Nazionale Genitori Soggetti Autistici. 2016. “La storia dell’ANGSA.” Accessed December 3, 2016. http://angsa.it/chi-siamo/la-storia-dellangsa/. Associazione per la ricerca sulle psicosi e l’autismo. n.d. “Relazione e Curriculum.” Accessed January 21, 2017. http://www.arpaonlus.org/sezione-2-sottosezione-4-id-6-relazione-e-curriculum.htm. Basaglia, Franco. 1965. “La Distruzione Dell’ospedale Psichiatrico Come Luogo Di Istituzionalizzazione.” Annali di Neurologia e Psichiatria LIX (1), reprinted in Primo Convegno Internazionale di Psichiatria Sociale, Londra, Agosto 1964: 1–10. Available at http://www.fondazionefrancobasaglia.it/images/pdf/BASAGLIA_LA_DISTRUZIONE.pdf. Benvenuto, Sergio. 1997. “Italy and Psychoanalysis.” Journal of European Psychoanalysis 5. Electronic Document, available at http://www.psychomedia.it/jep/number5/benvenuto.htm. Crialesi, R., A. Battisti, L. Salvador-Carulla, R. Martínez-Leal, and A. Rodríguez. 2007. “Deinstitutionalisation and Community Living–Outcomes and Costs: Report of a European Study. Country Report: Italy.” In Deinstitutionalisation and Community Living–Outcomes and Costs: Report of a European Study, edited by Julie Beadle-Brown and Agnes Kozma, 265–311. Canterbury: Tizard Centre, University of Kent. Accessed January 2, 2013. https://www.kent.ac.uk/tizard/research/DECL_network/documents/DECLOC_Country_Reports.pdf#page=267. Delgado, Pedro Gabriel G. 2013. “Mental Health Reform in Brazil: Changing Hospital-Centered Paradigm to Ensure Access to Care.” SOUQuarderni 8, Milan, November 2013. http://www.souqonline.it/home2_2_eng.asp?idpadre=955&idtesto=949#.Wf8MQYZrzUo. Democratica, Società Italiana di Psichiatria. 2011. “Statuto”. Accessed October 31, 2016. http://www.psichiatriademocratica.com/index.php?option=com_content&view=article&id=39&Itemid=165&lang=it. Lo Scalzo, Alessandra, Andrea Donatini, Letizia Orzella, Americo Cicchetti, Silvia Profili, and Anna Maresso. 2009. “Italy: Health System Review.” Health Systems in Transition II (6). Copenhagen, Denmark: World Health Organization on behalf of the European Observatory on Health Systems and Policies. http://www.euro.who.int/__data/assets/pdf_file/0006/87225/E93666.pdf. Rotelli, Franco. 1993. “8+8 Principi: Per Una Strategia Di Psichiatria Comunitaria, Collettiva, Territoriale (Versus Salute Mentale).” Electronic Document, Accessed November 27, 2017. http://www.triestesalutementale.it/letteratura/testi/13principi.htm. Sistema Nazionale per le Linee Guida-Istituto Superiore di Sanità. 2012. “Autismo: Quale Trattamento per Bambini E Adolescenti?” Accessible at http://www.salute.gov.it/imgs/C_17_opuscoliPoster_231_allegato.pdf. Società Italiana di Psicologia. 2002. “Storia della S.I.P.S.” Accessed September 4, 2017. http://www.sips.it/sito-vecchio/index.html?includi=storia. Società Italiana per i Disturbi del Neurosviluppo. n.d. “SIDiN SIRM.” Accessed October 31, 2016. http://www.sidin.info/. Società Italiana Di Psichiatria. n.d. “Storia.” Accessed January 19, 2015. http://www.psichiatria.it/chi-siamo/storia.